Today I will be talking about an artist that like Scrvina and VÉRITÉ , that have basically only released singles and EPs since starting their music careers. I’m happy to say that Bishop Briggs has finally released her debut album! Of course, “Bishop Briggs” is not her real name! It’s actually Sarah, but I find the stage name to be really unique and seems to be a special to her as she is honoring her Scottish roots! Everybody that’s not familiar with that sentence is scratching their heads right now! Look at a map of Scotland and get back to me! I’ve actually only listened to like three of her songs in the past. She’s had two EPs out, first in 2016 and the other came out in the middle of last year. I’ve been kind of excited to review this record for a while. I’d say her music is like indie pop, it’s light but not as obnoxious. The album was released on April 20th! So we start with “Tempt My Trouble” and I liked the pop-rock sound of the song itself, however, I felt as though I have heard the same guitar introduction before and unfortunately, I was a bit distracted by that similarity, but the song itself is really good! I had a hard time keeping myself from dancing to the beat on my bed. I’ve grown to love her voice, it has a deep quality but it’s also very cheery at the same time. Second is a song that might sound familiar with people as it’s been featured on different TV shows for promos, for me it was used as part of a dance on Dancing With The Stars in 2016 with actress Heather Morris and the other female dancers. “River” has an unique beat to it, it’s pop-y, but also has an urban vibe to it so I really love it. Next is “Lyin” and this has a sultry beat, kind of mimics “River” in a way, but it’s much softer compared to it. We move on to “White Flag” and weirdly enough, this was the song that made me realize that we might have ourselves a new song out, and then I found out that not only did we get a new song but a whole album too! YouTube has its perks sometimes! I really like this track too! I like the sassy beat, and it showcases Bishop’s low and taunting kind of tone in her voice. I have heard this song over a hundred times and I really want her and ZZ Ward to do a song together! It has that western, but bluesy-soulful type of sound that ZZ brings out in her music too! Next there’s “Dream” and finally we have slower song. It’s not a full ballad, but if she did an acoustic version, it would sound so beautiful! It’s pretty like this too, but I’m really curious to hear it like that or just stripped of everything, and maybe add a louder choir in the background? I’m giving myself too many ideas! The sixth song is “Wild Horses” and I like the acoustic beginning before the drum kicks in, and then all of a sudden before the choruses end, we have a small bass drop! And of course, that kind of helps seal the deal for me! We have “Hallowed Ground” next and I like the fun, quirky beat we have with this one. One thing that I’m starting to notice is that every song is meshing into one another, a part of me likes it, but then I also think there’s no room for individuality. If it wasn’t one little element that’s different in each song, the whole album would be the same! So next, we have “Water” and finally we have the kind of song I’ve wanted since I started this review. A ballad. I think Bishop has a real unique voice, she has a lot of range that I feel kind of gets lost in these cool beats, and this one you can really hear her at every angle, when she goes to do high notes, she has that old school, soulful tone that should be highlighted more often. These are the last two songs off of the album, starting with “The Fire” and again, we go back on the uptempo train. I like it, but the longer I continue to listen to the album, the less of the difference of the sound in each song, but it’s still good nevertheless. And finally we have “Hi-Lo (Hollow)” and I’m glad it’s another slower, ballad-y type of track. You still have the soulful vibe, but you can hear more emotion coming out of your voice, because you can tell she’s kind of straining a bit, but I really love it. And the mild bass drop is nice too, it doesn’t take over to the slowness of the beat overall, but it’s a good balance. I didn’t have any expectations with this album, but I hoped for more as far as changing up the beat of the songs. I know I said that basically every song sounds like the other, except for the occasional ballad, but I actually liked the album. It just had some little things that just bugged me. I’ve already recommended it to a couple of people already, so maybe they’ll agree or disagree with me. What are your thoughts to “Church Of Scars” as a whole? Did you think it lacked individuality with each song or did you like the songs for what they were anyways? Do you have any favorites yet? Hi Meghan, I’ve nominated you for the Mystery Blogger award ‘Their blog not only captivates; it inspires and motivates. They are one of the best out there, and they deserve every recognition they get. 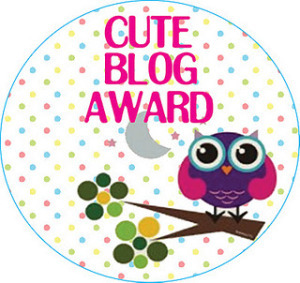 This award is also for bloggers who find fun and inspiration in blogging, and they do it with so much love and passion.’ as I think you totally deserve it!